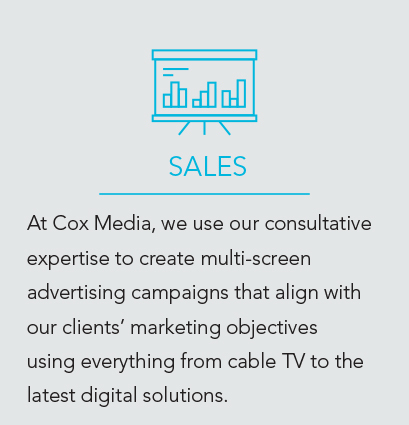 AT COX MEDIA, we believe in recognizing outstanding work, investing in our team and building authentic relationships. 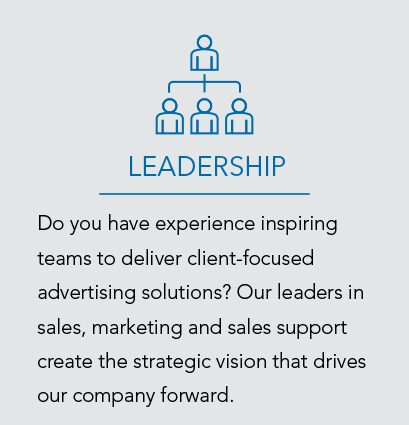 We have a dynamic culture that is creative, fast-paced, competitive, and a supportive place to grow your career. We help businesses succeed by connecting their advertising message to the right consumers. ANYONE. ANYWHERE. ANY SCREEN. We're not a dress shirt and tie kind of company. There's no place like home at Cox Media.